By popular demand we now offer Lito dress pants in Black, White, Charcoal, and Tan. 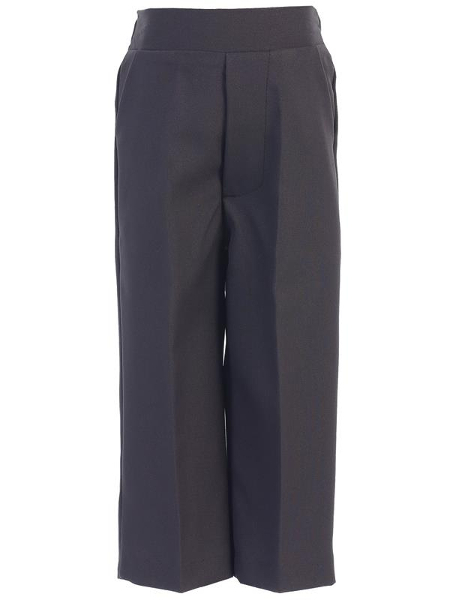 These charcoal dress pants are a fresh addition to any wardrobe. They provide a nice dressed up look without a huge expense. Pair them with a white or ivory dress shirt, some suspenders and a bow tie and you have a beautifully classic look that will work for almost any special occasion. 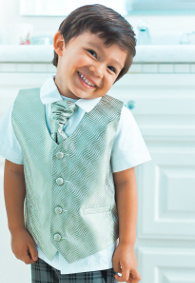 The pants are available in infant to boys size 8. The infant sizes have an elastic waist, the toddler sizes have an elastic back and fake fly, and the sizes 5 - 8 have a zipper, pockets, and an elastic back. They also have tucks in the front so they are not flat fronted like the smaller sizes. The material is a high quality polyester that keeps the pants looking pressed. Allow 3 - 4 business prior to shipment.